Ranbir Kapoor and Deepika Padukone are one of the best on-screen jodis of Bollywood, and they are often compared to best B-Town couple Shah Rukh-Kajol. Recently, an online survey conducted also has declared Ranbir and Deepika as best on-screen couple after SRK-Kajol. by media said that he would love to star in 'Dilwale Dulhania Le Jayenge' pairing up with Deepika Padukone of the film is ever remade. 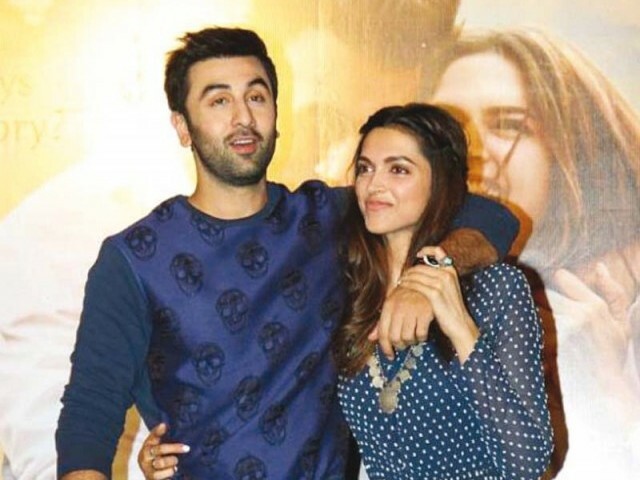 The Tamasha actor added that he and Deepika feel the comparison and 'look up to', is proof of the duo popularity as pair. "Someone asked us which classic film we would like to do and we said it would be 'Dilwale Dulhania Le Jayenge' because we have grown up with Shah Rukh and Kajol. We look up to them, the love they have got. It’s kind of proof that people like us to watch on-screen together," said Ranbir Kapoor. Ranbir and Deepika were seen together in films Bachna Ae Haseeno, Yeh Jawaani Hai Deewani and they were promoting for the movie Tamasha, which will hit the big-screens worldwide on November 27. "Tamasha is a very special film. I hope audience continues liking us together so that I get to work with her again and it does not take a two-year-long gap for us to come back together," Ranbir Kapoor said in interview.